For those who know me or who are regular readers of my equipment reviews will know that the weakest part of my game is my wedge play. When I was playing golf every day as captain of my university golf team and playing amateur golf, I would describe it as OK.
It’s when I don’t practice and only get to play irregularly then it’s the first thing that plummets and when I say plummet I mean a lot of duff shots around the green and when I am not duffing the ball, then it’s a knife across the green that could take out an opponent, better than a run of four birdies on the back nine! So you can imagine anything that is going to help my short game I would jump at. 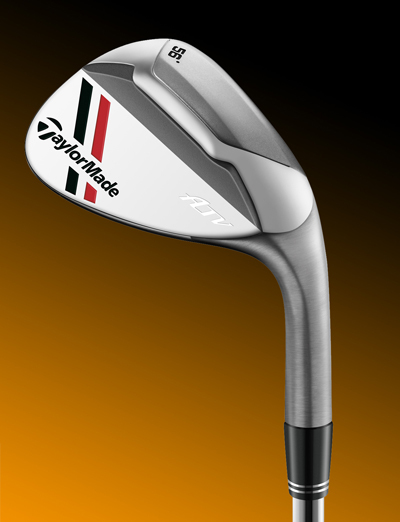 When I got to test TaylorMade ATV wedge system on my recent trip to California I have to say I was more than impressed, I really started to enjoy playing shots around the green, I even managed a couple of Mickelson like flop shot with the 56° wedge. I chose to leave the pitching wedge and sand iron out of my set of irons and carry the 50° and 56° wedges and the first thing you are going to notice is what looks like a very ugly lump of iron that sits on the sole of the club, but it’s this ugly bit of iron known as the ATV (All-Terrain Versatility) that does all the work. It enables the sole of the club to sit perfectly on all sorts of, well terrain to use a better word. You can use it from the different cuts of rough around the greens as well as the fairways, but you can also use them from the sand, which I found was one of the major benefits as now it was like I had two different sand irons in the bag. I began using the 50° wedge for the longer bunker shots with some fantastic results and I have never chipped in so many times in my golf career, I did play 20 courses in 12 days so was getting plenty of practice, but the highlight had to be holing my second shot on the 11th at Pacific Grove Golf Links for an eagle two, from 80 yards with the 50° wedge. The ATV (All-Terrain Versatility) sole lets you play every type of recovery shot around the green, be it a typical wedge-shot or chip, pitch and flop shots, to explosion shots from sand/rough or a shot from a tight links type lie. You can change the bounce angle depending on how you position the head at address. 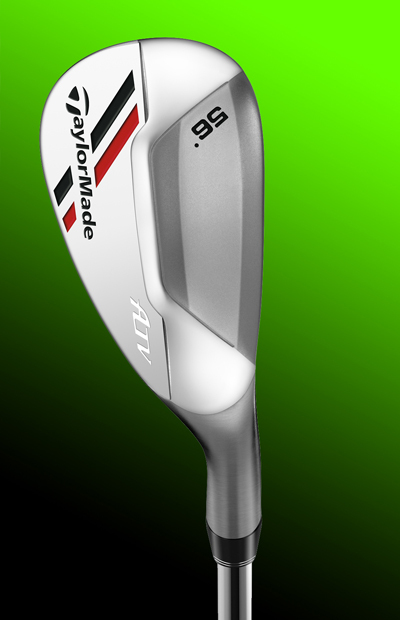 It also incorporates milled groove design and micro-texture across the face which generates more spin within USGA rules and guidelines. The ATV comes with a satin finished to help reduce any glare that may catch the face during the shot and comes with a traditional shaped head design. I certainly felt the ATV sole design helped my wedge play, not only from around the green but also my bunker play and I had the option of using a less lofted wedge for longer bunker shots which was certainly a bonus. I also liked the longer grip design which I felt made it easier to choke down on the club for those delicate little pitch shots around the green. As I stated earlier, I have never holed so many chip/pitch shots and this can only be because I felt really comfortable and in control of my wedge/pitch/sand shots. These are definitely a wedge system I think you should check out and take out for a test. I am sure like me you will not only enjoy the experience, but see the confidence in your short game grow very quickly.